With a free and unlimited internet access and VOD, and air conditioning. An open space that evokes a feeling of escape, of foreign lands, and a veritable treasure trove of dreams where each guest imagines their own personal journey. 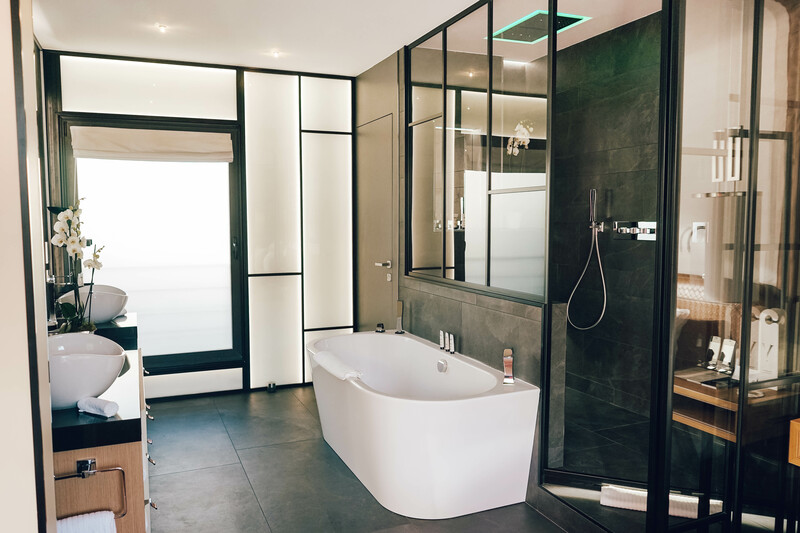 In an environment created using leather and the highest quality materials, the Presidential Suite opens out onto a large terrace with a jacuzzi made from glass and stainless steel, providing exceptional moments of relaxation. A romantic and fanciful view of Notre-Dame de Bon Voyage completes this unique experience. 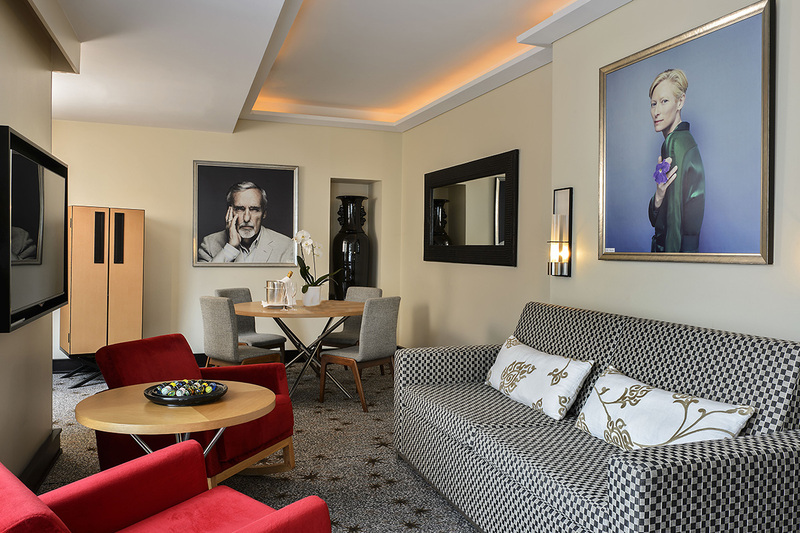 The Presidential Suite combines the Terrace Suite and adjacent Suite So Suite across a total size of 125 m². The suite has three bedrooms with private bathrooms, and two large lounges equipped with high-tech amenities. The interior design is inspired by the motionless journey concept, transcribed through an interplay of trunks and objects collected across all the continents. 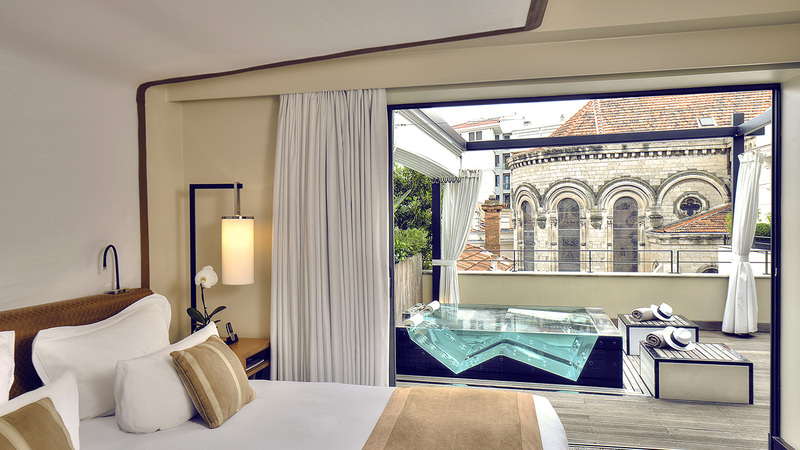 With furniture and lighting tailor-made for the hotel, a lounge with high-tech amenities, free minibar, iPad loan on request, and a Nespresso machine. The suite boasts three private bathrooms. Beautiful and generous, they open out onto the rooms or retain their privacy thanks to an ingenious interplay of subtle lacquered dove-coloured blinds and shutters.